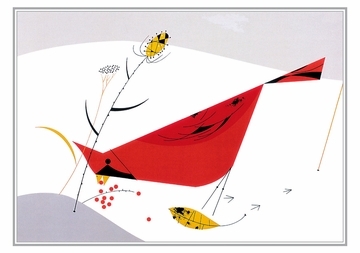 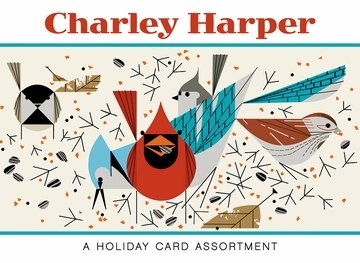 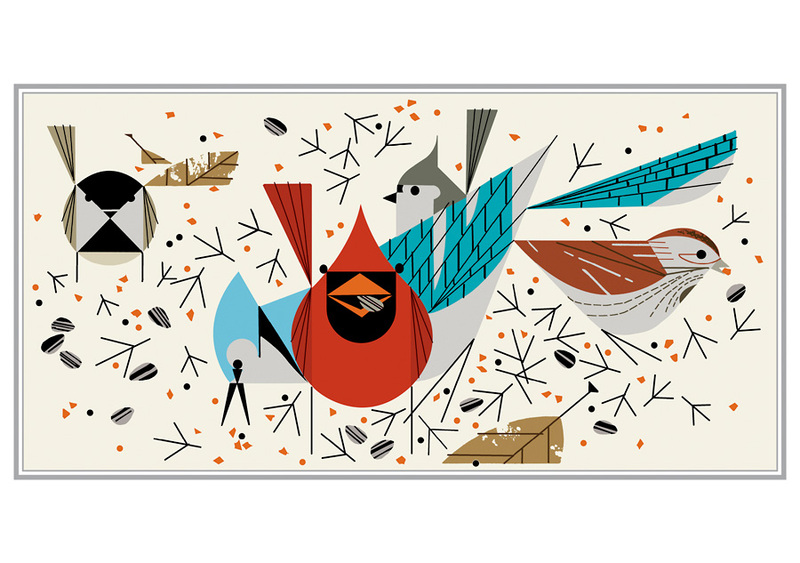 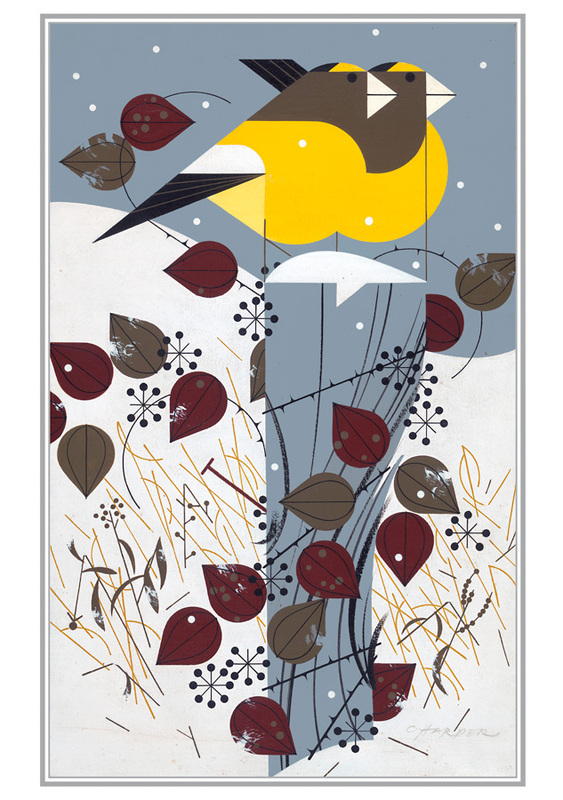 An astonishingly versatile artist, Charley Harper (American, 1922–2007) was fluent in many techniques, from brushy abstraction to precise realism. 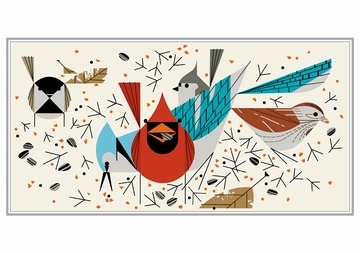 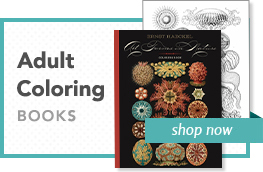 He is best known for his sophisticated yet playful portrayals of all kinds of creatures—particularly birds—depicted using geometric forms, curves, and flat areas of crisp color. In their lively lines and inventive depictions of motion, his works reveal an awareness of cubism, minimalism, and Einsteinian physics, among other developments in modern art and science. 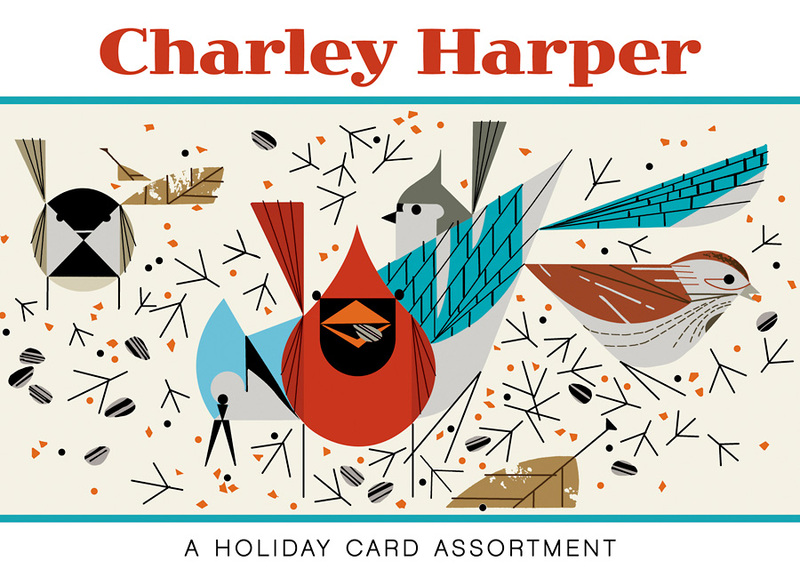 With wit and a deceptively simple style, Harper distilled the essence of each of his animal subjects. 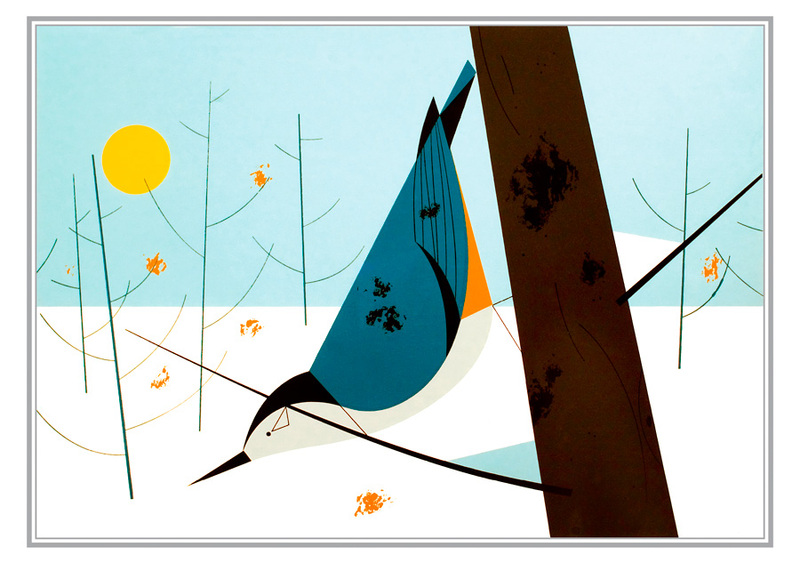 Four of his winter bird images are featured in this holiday card assortment.